CAN TRAINING PREVENT TARGETING BY VIOLENT CRIMINALS? Does having self protection training and carrying a concealed firearm actually deselect you from violent criminal targeting? In other words, if you carry a firearm and train to protect yourself are you less likely to be targeted for violent crime, thus less likely to have to use the training and firearm you invested in? This blog post is going to explore specific visual cues we provide to potential violent predators by the way we move and if those cues are actually analyzed by the predator and used to make the decision to attack. I want to start this article with a caveat: In no way is this information intended to blame the victim! This information was derived from the current data on violent victimization. Responsibility for all violent crime rests squarely on the perpetrator. We offer simple training, tactics and strategies, which will ultimately keep you safer and less likely to ever use your training and defensive equipment. WHAT DOES CRIME DATA TELL US? Crime data in the United States is tricky to analyze. Only 47% of violent crimes are reported to the police. The crimes which are reported are recorded and sent to the FBI and published as the Unified Crime Report (UCR). The US Department of Justice also publishes results of an annual survey the National Crime Survey. The data from these two sources differs. However both sources indicate a general downward trend in violent and property crime, although 2016 brought an increase in violent crime from previous years. Obviously it is impossible to know if the violent crime will continue to trend upwards. Firearms trainer, Tom Givins, offers an excellent quote pertaining to the statistics of violent crime: “It’s not the odds, it’s the stakes”! Statistics don’t matter when YOU are getting shot or stabbed. There is a growing source of data which would indicate the way you move either attracts violent predators or deselects you from violent predator attention. 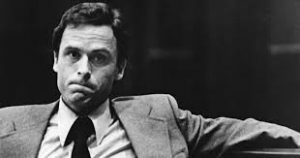 The studies started after infamous serial killer Ted Bundy, who confessed to 30 homicides and told his attorney he actually killed over 100 people, related he could evaluate a potential victim by the way she walked. In 1981, a study was conducted which tested Bundy’s claim that victims display characteristic body language, specifically in their walking style (Grayson & Stein, 1981). Essentially, inmates who were convicted of violent offences and incarcerated in Ontario Canada, were asked to look at video of people walking. Individuals scoring higher on the interpersonal/affective aspects of psychopathy (Factor 1) were more accurate at judging victim vulnerability simply from viewing targets walking than a sampling of people drawn from the general public. To put psychopathy in perspective, a 1992 FBI study found that 44 percent of offenders who killed a police officer were psychopaths. Psychopaths compose 15% to 25% of a typical prison population and are responsible for 50% of violent crime. This study has been repeated numerous times with varying methodologies and these studies have all come to a similar conclusion. Violent individuals evaluate victims by the way they move, specifically by the way they walk. So, specifically what are violent predators looking for? Submissiveness. A criminal wants an easy day. They want to get paid and they don’t want to get hurt or caught. “Paid” could mean many things from your cell phone to your injury or death. Let’s focus on the fact criminals don’t want to get caught or hurt. If a criminal got hurt every time they “worked” they would have a pretty short criminal run. They want an easy score. They use surprise, violence of action, multiples, and weapons to overwhelm their victim. Criminals don’t want a fight, so they look for victims who they evaluate to as “soft” targets. Soft targets display vulnerable body language: head down, smaller or constricted movement of limbs, jerky or uncoordinated movement, hunched shoulders, and shorter strides are all body language which indicates submissiveness. Task fixation, such as texting or talking on a cell phone, mimic the body language of submissiveness, thus attracting violent predator attention. Victims of prior abuse also may display submissive body language due to lack of confidence. A simple but temporary fix to attracting predators attention would be to avoid task fixation in public areas. Specifically, areas which crimes are more likely to happen. Stay off of cell phones, don’t listen to music, and don’t read when moving through a potentially dangerous area. Next, get training and carry pressure tested equipment. There are only two things you bring to a conflict, your tools (weapons, lights, medical gear and the method of carry) and your training. You do not pick the time, place, or nature of the conflict, you could only control your software and your hardware! Having pressure tested hardware and appropriate training to deal with violent encounters will give you confidence. Confidence and training will show in your gate, making you less likely to be targeted by a violent criminal predator.